At the 2018 Dallas Summer Musicals High School Musical Theatre Awards (DSM Awards), the school won for best orchestra in its Hunchback of Notre Dame production. The DSM Awards is the second largest program of its kind in the country and recognizes artistic and educational achievements of North Texas students and their high school programs. Awards are presented in 16 categories, and scholarships are given to outstanding graduating seniors. Students from Lake Ridge High School and Timberview High School were also nominated for multiple categories. View the list of DSM winners here. 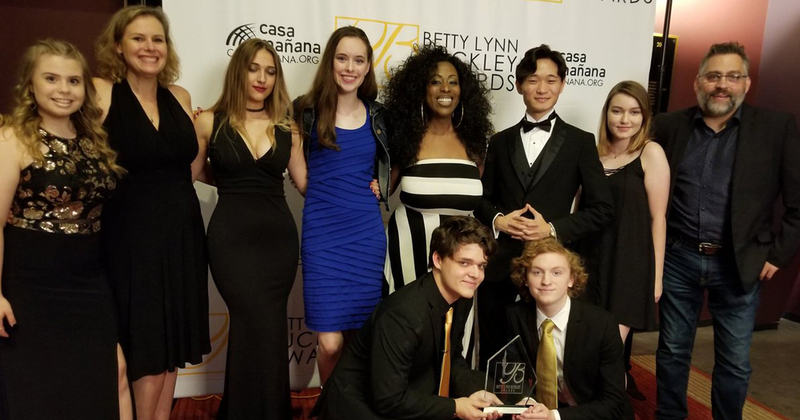 In addition, Mansfield High School won trophies at the 2018 Betty Buckley Awards. The campus won Best Play with its The Lost Boy performance, and David Shumate won Best Male Actor. The Buckley Awards started in 2000 to promote and celebrate excellence in high school musical theatre. A panel of distinguished judges, comprised of local theatre professionals and educators, votes for a winner in each of 13 award categories for musicals. View current and past Buckley winners here.